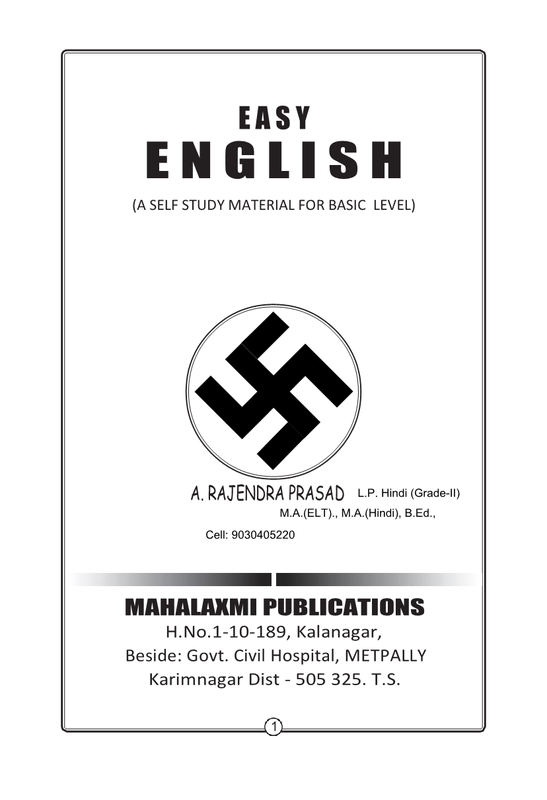 EASY ENGLISH(A SELF STUDY MATERIAL FOR BASIC LEVEL) is Written by A.Rajendra Prasad ,Karimnagar Dt. Easy English is a resourceful book to the learners who aspire to learn basic English.The author A.Rajendra Prasad covers all the necessary basic grammatical ingredients in learning a language. 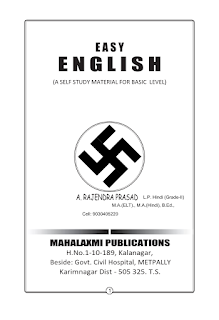 As the book is bilingually written, the Telugu speaker can understand the elementary levellanguge to learn the nuances of the target language.It covers both traditional and functional English grammar, the reader can master communication effectively in English language. Caution:It's a copy right book.No part of this publication can be reproduced in any form or by any means without the prior written permission from the author.